Last week we published a preview of the Homebuilding & Renovating shows 2017 with top tips on how to get the most from your visit. Today we are going to take a step forward and provide you with the Top 7 recommendations for seminars, masterclasses, experts and exhibitors, followed by the ACA’s ultimate two-day guide to the National HBR Show 2017 in Birmingham. 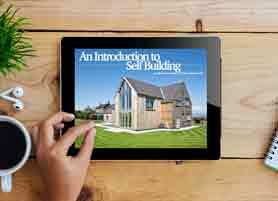 This guide is personalised for a self-builder who is just beginning their self-build journey and wants to get as much knowledge as possible from the show. The show in Birmingham is the largest in the United Kingdom and offers a wealth of information, with over 40 different seminars and a full cast of experts ready to give you one-on-one advice! We know that starting a self-build project can be overwhelming and you may be unsure of where to start. 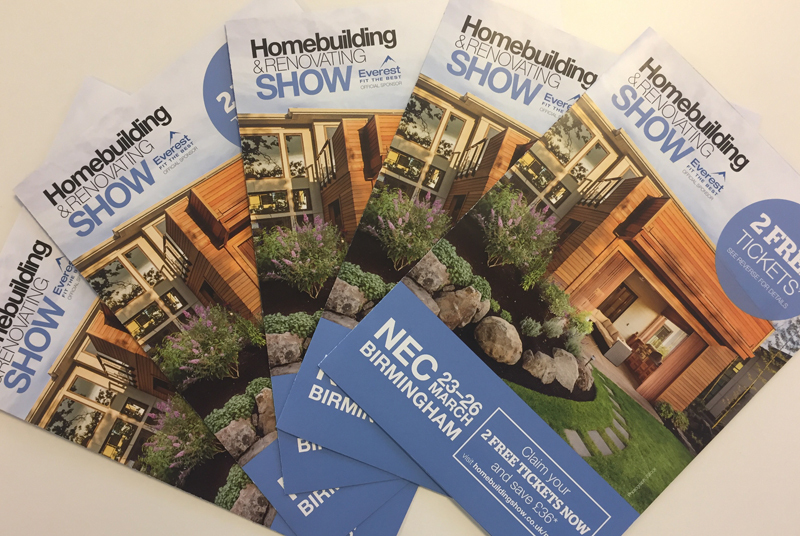 We understand this, and this is why we have decided to prepare the ultimate guide to the National Homebuilding & Renovating show in Birmingham. We have selected the top 7 seminars from the main theatres, and the top 7 experts and exhibitors you should speak to in order to get the most of the show! We would always suggest going to the Birmingham show over 2 days, as there is so much to do – however if you can only go one day then you will have to pick and choose what to fit in! Fourteen times self-builder David Snell explains the process of designing and building an individually designed home step by step, from finding land and arranging finances, to choosing a builder and project management. He will also address the challenge of deciding how much to take on yourself. An introduction to the planning system. Discover the tactics that will maximise your chances of getting consent for your homebuilding or renovating project. Learn how the system works, who makes the decisions, how to influence them, when to compromise, when to appeal and much more. Discover the secrets of successful self-build and renovation project management, including how best to use your own time and skills to drive down costs and improve efficiency. Learn how to find and manage reliable builders, schedule your project, manage payments and more. Forewarned is forearmed – learn how to keep your homebuilding project firmly on the rails by avoiding the most common disputes and disagreements that arise during the project with designers, builders and suppliers, plus a guide on how to resolve difficulties if they do arise. Discover how to search for plots using professional land finding techniques and how to assess a site’s development potential, including serviced plots for sale on a larger custom build development. Plus a look at the significance of the ‘Right to Build’ registers – and how to ensure your local authority brings forward opportunities for individual and group self builds in your area. One of the most prominent Self Build specialists and authors. For 14 years he was The Daily Telegraph’s ‘House Doctor’ with a regular Saturday column. He also wrote four editions of ‘Building Your Own Home’, and other books related to Self Build. With such an extensive experience David can give advice on almost every area of your self-build project and can help you avoid very costly mistakes! 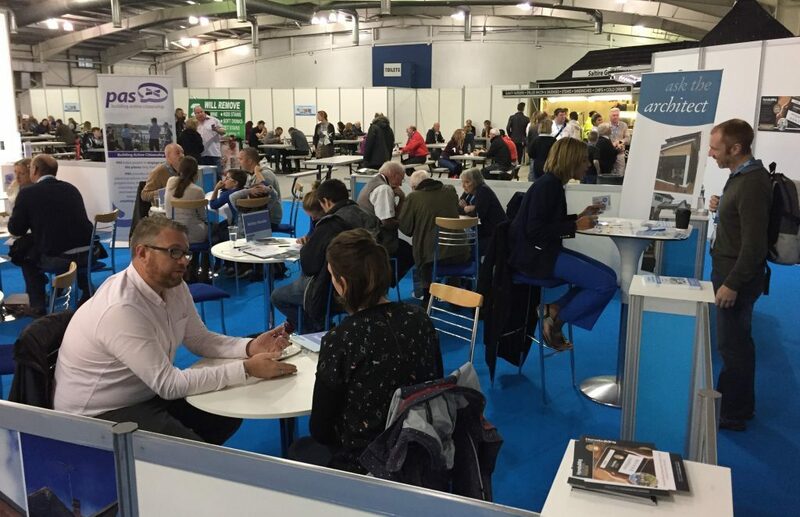 If you want to build a low-energy house and are wondering what construction method to adopt, The National Homebuilding and Renovating Show is an amazing opportunity to speak with the companies offering sustainable home building solutions and to find the best one for your project. Structural Insulated Panels (SIPs) offer a modern, cost-effective, environmental and energy efficient solution to building construction. Come to stand no. F149 and have a chat with their specialists to find out if SIPs is for you. For the vast majority of self-builders getting a mortgage for building their dream home is a necessary mission. Buildstore offers mortgages for clients who are either building their own house, renovating or looking for a better rate on their current house while planning a project. Come over to stand no. G127 and check out what they have to offer. Whether you are building your own home, or embarking on a renovation project, Nu-Heat will be at the show to discuss their water underfloor heating systems and renewables. They will be able to offer advice on what solutions will be best for your house. This Customer Service award-winning company will make sure that you will be supported at every stage of your project. Rationel manufacture energy saving timber and aluminium clad timber windows and doors of premium quality, both in terms of comfort and security. They have developed and manufactured windows and doors since 1954 and today Rationel’s product range covers almost any imaginable need or architectural style. Now that you have read this article and know what the show has to offer to you, you should see the benefits of attending it. We would like to assist in making your visit as valuable as possible. Therefore, we created a two-day National HBR Show programme, which focuses on the interests of the self-builders. For your convenience, you can download them, print off and take to the shows – Just click the button below! Below you can see ACA’s advised programme for the National HBR Show, personalised for self-builders. The show’s opening times are 10.00-17.00. As visiting the exhibitors is of as much importance as seeing the seminars, we have divided the time for both activities evenly. We divided each day into two parts – the seminars and the exhibitors/consultation. On the first day you will spend most of the morning at the seminars, and the afternoon on visiting exhibitors’ stands and consultations with the experts. On the second day we have reversed this order. 10.00-10.30 – Make your way in an orderly manner (no running or pushing) to the Advice Centre and secure your free 15-minutes appointment for a suitable time during the day. We would suggest getting one later on in the day, as you may think of more questions as you go around the show, and make sure that it will not coincide with the seminar/masterclass you want to see! Remember to update the programme with the times of the consultations you have booked onto. Please note that this programme is personalised for first two days of the show (23th-24th of March). 10.30-11.00 – Head to the Self Build Theatre for your first talk: Self Build Explained by David Snell. He is an author and contributing editor to HBR Magazine – a mine of information when it comes to Self Build. This is the best choice for a warm up to the show. 11.00-11.20 – Head to the Masterclass Theatre for a great introduction to building a sustainable house: Simplifying Passivhaus. This masterclass provides an introduction to ultra-low energy home design and construction performed by Beattie Passive (E162) and will be a great second step after the first seminar. 11.20-12.00 – This time slot can be spent on booked consultation with your chosen expert or the exhibitors’ tour. 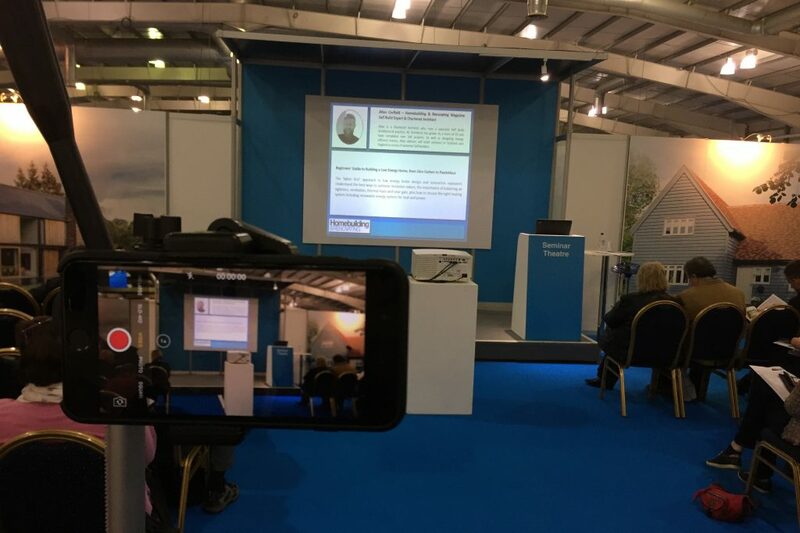 Remember that if you own a smartphone, you can download a free app and use it to create a personalised map of the exhibitors and receive alerts when shortlisted seminars and masterclasses are about to start. This can help you to strategically plan your visit and save time. You can download it here. 12.00-12.20 – Head back to the Masterclass Theatre to listen to a lecture on building oak frame homes performed by the specialist from Oakwrights Ltd (D195), and learn about the pros and cons of utilising this structural system. 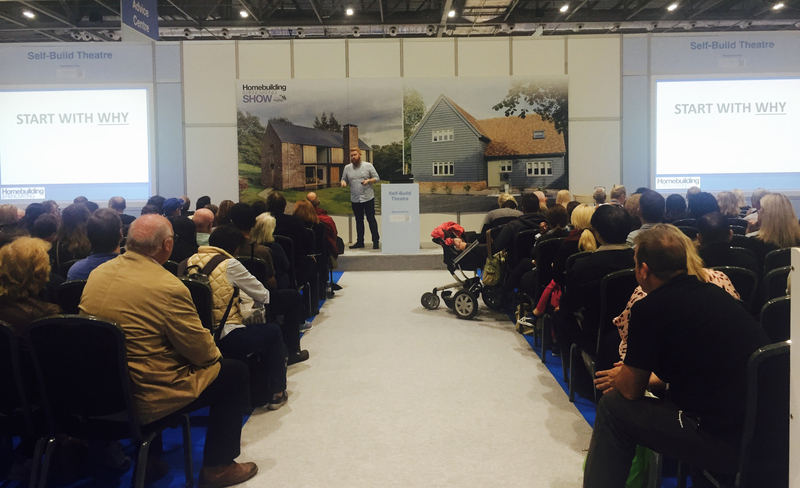 12.30-12.50 – Stay in the Masterclass Theatre and learn from the specialists at Buildstore (G127) how to fund your self-build project, in a guide to stage payment mortgages. 13.00-13.30 – Head back to the Self Build Theatre for another vitally important lesson from David Snell. In his seminar called ‘How to finish your project on time and on a budget’, Snell will share with you the secrets of successful self-build project management. You will learn how to find and manage reliable builders, schedule your project, manage payments and much more. 13.30-14.00 – In another seminar performed in the Self Build Theatre Jason Orme will explain to you the most popular constructions systems and help you to decide which one is the best for your project, covering factors such as energy efficiency, build speed, costs and aesthetics. 14.00-14.20 – Quickly head over to the Masterclass Theatre to supplement the knowledge you have gained from the previous talk. In this masterclass you will learn about one of the most energy efficient construction systems – Structural Insulated Panels (SIPs). 14.20-17.00 – This time slot can be spent on booked consultation with your chosen expert or the exhibitors’ tour. 11.00-11.30 – You will start your second day from another useful Self Build seminar: ‘Planning Permission: How to find your way through the planning maze’. Sally Tagg will teach you the tactics that will maximise your chances of getting consent for your homebuilding project. 11.30-14.00 – This time slot can be spent on booked consultation with chosen expert or the exhibitors’ tour. You can head to the cafeteria that can be found inside the venue and get a coffee before the very busy and interesting hours to follow! 14.00-14.30 – Head to the Self Build Theatre for a complete guide to designing your dream home presented by Allan Corfield. You will be taken through every process of home design, from concept sketches to planning drawings, from building regulations to detailed drawing packages. This talk will help you to make sure that your home will meet your expectations, and stay within your budget. 14.30-15:00 – Stay in the Self Build Theatre to learn what are the most common self-build mistakes and how to avoid them. David Snell will supplement the seminar with a guide on how to resolve problems if they do arise. 15.00-15.20 – If you are interested in the installation of underfloor heating and also want an energy-efficient house, then go to the masterclass theatre to learn about the benefits of underfloor heating including integration with ground and air source heat pumps performed by Polypipe (B143). 15.30-16.00 – In the last talk recommended by us in NHBR Show, Jason Orme will teach you the techniques on how to find your dream plot and how to assess a site’s development potential, including serviced plots for sale on a larger building development. The talk will be concluded with ‘The Right To Build’ registry introduction and its significance in helping you find a plot. 16.00-17.00 – This time slot can be spent on booked consultations with chosen expert or an exhibitor’s tour. The National HBR Show holds a plethora of information for a prospective self-builder. The recommendations we have created are, in our opinion, the optimal solution for people planning to build their dream home. However, this doesn’t mean that the other seminars, experts or exhibitors are not worth seeing. Depending on the priorities of your project it may be more appropriate to attend other talks. Or if you are able to visit the show for three days you can definitely widen your agenda to see more. It is worth the effort and time to prepare well for the show, as what you will learn will definitely influence the final outcome of your project! 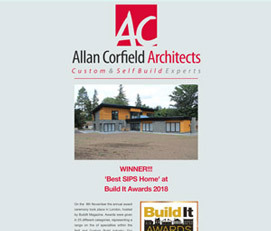 For more live tips on the National Homebuilding & Renovating Show follow @acarchitects and @allan_corfield on Twitter. 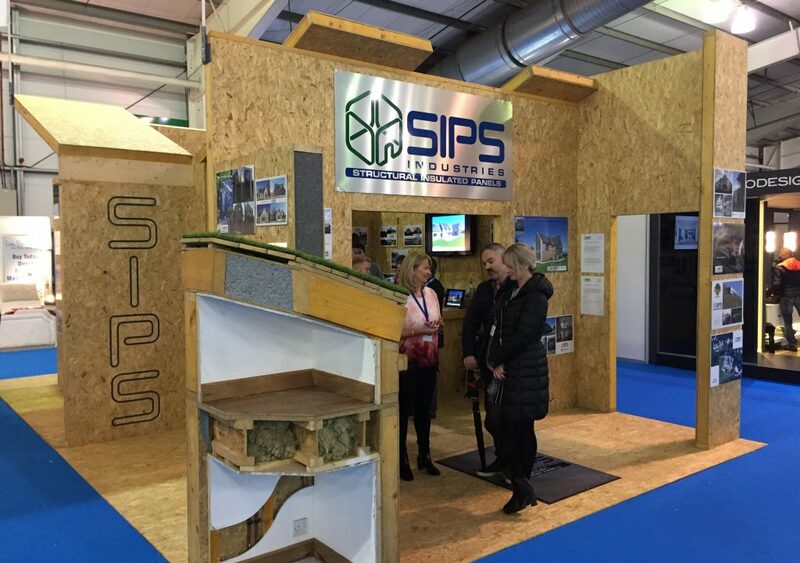 Our friends at SIPS Industries have given ACA access to some free tickets for the shows – If you are interested contact us on marketing@www.acarchitects.biz.